A. Lyons & Co., Inc. specializes in precision, machine-quality, made-to-print nails, made-to print tacks, and made-to-print pins used in automatic insertion machinery. 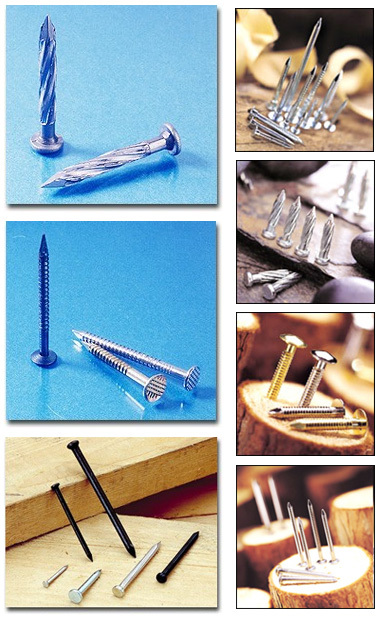 We can also supply a wide range of custom tack, custom pin, and custom nail products to diverse industries. Our products are manufactured to exacting tolerances which is particularly important within industries using machine-fed applications. We also offer special made-to-print nails to our customer’s exacting specifications. Contact A. Lyons & Co., Inc. today to request a quotation, place an order, or to request further information about made-to-print nails, made-to-print tacks, made-to-print pins and more. A. Lyons & Co., Inc. supplies brush assembly pins to paint brush manufacturers as well as precision quality tacks and nails (including threaded, hardened, and plated products) for many other industries requiring the highest quality standards. Our products are manufactured to exacting tolerances for a diverse range of industries worldwide, including hand, machine, and air gun applications. Contact A. Lyons & Co., Inc. today to request a quotation, place an order, or to request further information about industrial nails, industrial tacks, and industrial pins. Many of our nail products undergo continuous quality control throughout the manufacturing process, and we have a wide range of specification options available for non-standard nails, non-standard tacks, and non-standard pins.